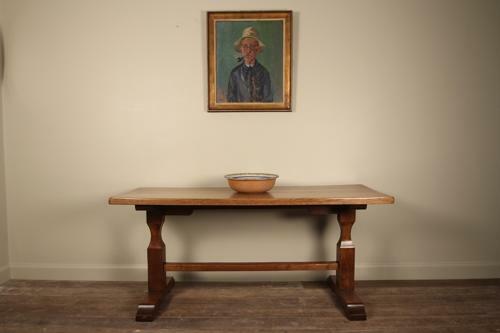 A stylish and neatly proportioned English Oak dining table. Having a thick plank top and raised on 2 chamfered trestle ends and adjoined by a single stretcher rail. Lovely honey colour and lustre, in great condition throughout. English, Circa 1920.